The Maricopa Community Colleges Foundation awards a Hero of Education each year to a champion of higher education in Arizona. 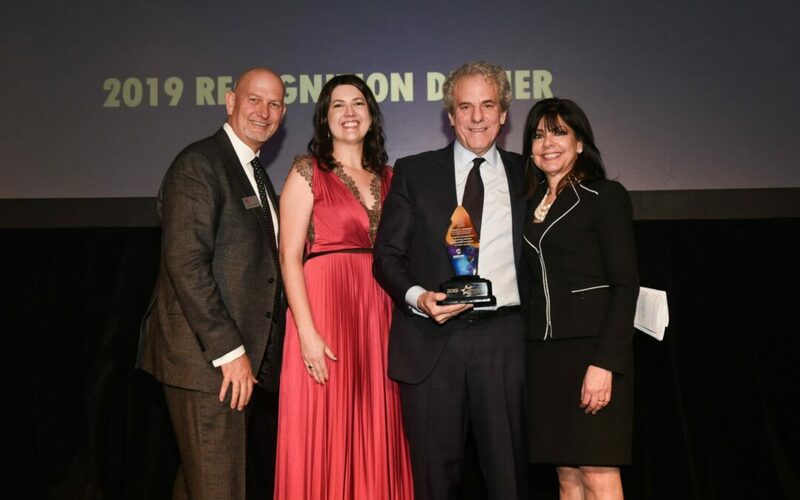 This year’s event, honoring Steven G. Seleznow, was held at the JW Marriott Scottsdale Camelback Inn Resort and Spa, and raised more than $102,000 in scholarship funds. Seleznow, President and Chief Executive Officer of the Arizona Community Foundation, was recognized for his commitment to nonprofits and educational issues, as well as for the significant changes he’s brought to the education system in Arizona and scholarship and program support, at the Maricopa Community Colleges. Additionally, 10 College Heroes were honored at the event, each representing individual Maricopa Community Colleges. The College Heroes are: Rick Kettner, Northrop Grumman (Chandler Gilbert Community College), Sintra Hoffman, WESTMARC (Estrella Mountain Community College), Arizona Diamondbacks Foundation (Gateway Community College), Walmart Supercenter Metrocenter (Glendale Community College), Gateway Bank (Mesa Community College), Carolyn Szatkowski (Paradise Valley Community College), Intel Foundation (Phoenix College), Dana Kennedy, AARP Arizona (Rio Salado College), Doreen Reinke, Nationwide (Scottsdale Community College) and Jean, Gary and Sherri Thomas (South Mountain Community College). A highlight of this year’s event, were speeches given by scholarship recipients, Luis Callejas (GateWay Community College) and Emily Lopez (Phoenix College). Each told their own remarkable stories capturing the challenges and accomplishments of many thousands of students at the Maricopa Community Colleges. Both speeches ended in standing ovations by the audience of more than 500. Since its inception in 2006, The Heroes of Education event has raised $1.8 million in scholarship funds to support Maricopa Community College students. Last year, the Maricopa Community Colleges Foundation awarded over 4,300 scholarships totaling $2.7 million, made possible by more than 3,700 donors.